Not only do rose petals taste great, they also freshen the mouth. 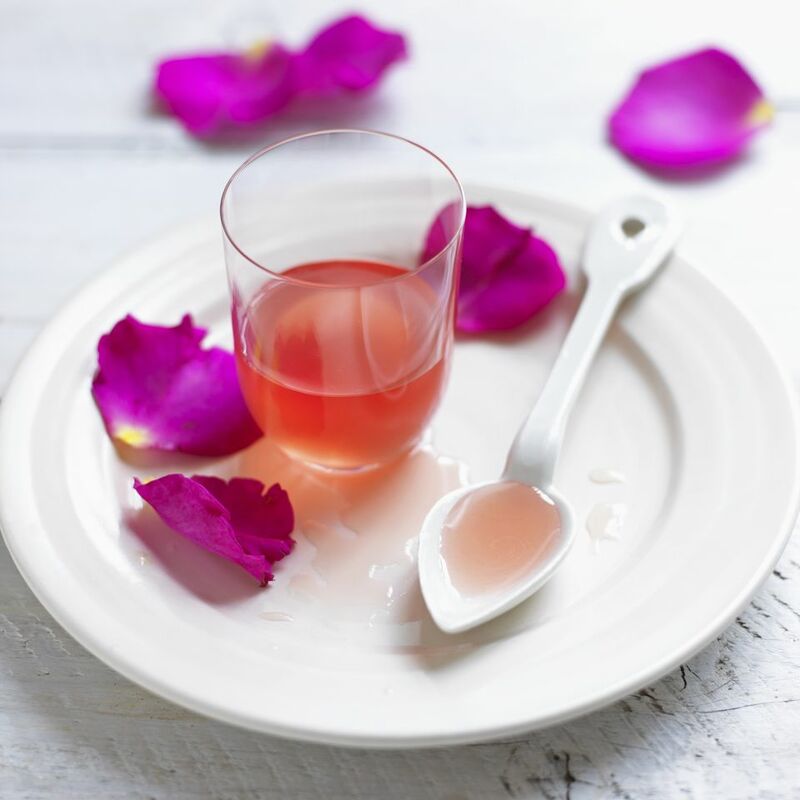 On a hot summer's day, a tall, frosty glass of Rose Sharbat can really cool you off. Another nice way to have it is in a glass of cold milk. Yummy! This recipe will make approximately 2 glasses of Sharbat but you can dilute the drink if you like it a bit less sweet. Coarsely crush the rose petals in a mortar and pestle and then put into a deep glass bowl. Pour 1 cup of boiling water over the paste and add the cardamom powder. Mix well, cover and allow to steep overnight. In the morning, strain through a very fine sieve. Add the sugar and stir until dissolved - do not heat. When the sugar is dissolved, add the lemon and pomegranate juices and mix well. The syrup is ready now and can be stored in the fridge for 3 to 4 days. To serve, pour some syrup into a tall glass, mix with chilled water to taste and add crushed ice.